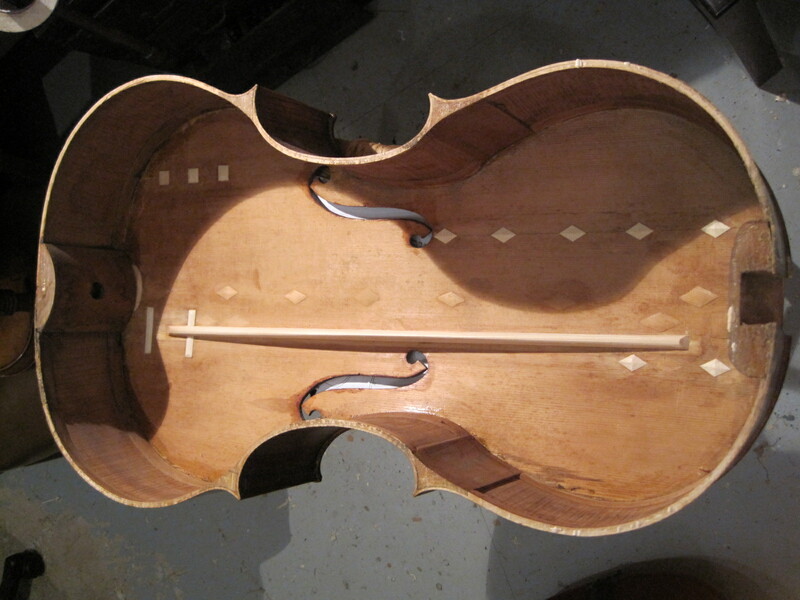 This cello needs a soundpost patch in the back among other things. 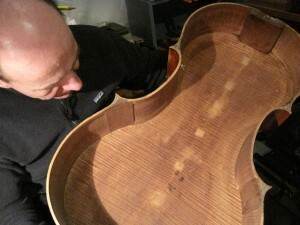 First the top needs to come off to repair and reinforce several cracks. To get to one of the larger cracks the bass bar must come out. Then a new one is put in after these repairs are done. 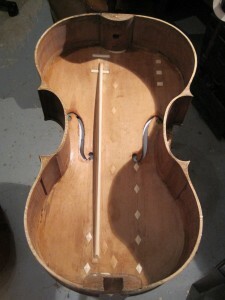 In the view of the top the long ,horizontal studs are fit with tension to correct sunken arching in the lower bass section of the top.Once the top is back on the ribs the back will come off and a mold will be made to provide support for gluing in the patch. Stay tuned -its under way.